The tulips this year were hands down, the best I’ve seen in quite a few years. They were so incredibly big and even better, they were so beautifully vibrant and colorful! With that said, Tulip Time never fails to amaze me, and here’s why. For two short weeks, Holland is decorated with nearly 5 million tulips. People come in from all over to admire their beauty. We ‘ooooowww’ and ‘awwwww’ at the site of them knowing that they won’t be in bloom for long. This year, the weather was incredibly stunning the first weekend of Tulip Time but the second weekend was not so great. It was pretty cold and gloomy, with night time thunderstorms. With plans to spend the second weekend in Holland with someone special, I kept wondering if the tulips would survive the rough weather for us to go and see. Sure enough, by Sunday, it was pretty evident that many of the tulips were on their way out. Those withering tulips led me to this: just like the tulips, our lives too, are both beautiful and delicate. This week, I encourage you to look for the beauty in your life knowing that you’ve planted an imperishable seed. The symbolism between our lives and flowers in the Bible is very sweet. Cherish what you’ve been given by living your life as beautifully as you are able knowing that it’s a delicate gift. 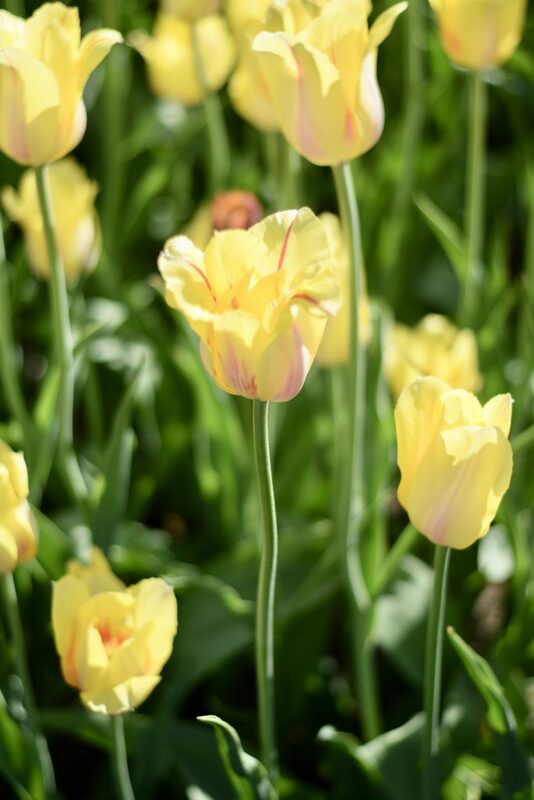 And hold close to your heart how special it is to know that when we fall like the tulips, our seeds planted in Christ have given us everlasting life!